Category Archives for "Dr McMahon’s Top Toys for Learning Recommendations"
Dr McMahon, Speech Pathologist, PhD presents her favourite toys for speech, language & learning. Downloads that link with the toys are packed with game ideas for parents to not only have fun but encourage development of life-long learning skills. Even from this simple old rhyme you can see that Tea Set play is fantastic for building social skills and symbolic (pretend) play. See our Costume Blog (14 days to Christmas) for more information about how pretend play is vital for early speech, language and learning development. So instead of talking about how Tea Sets can help with social skill development I am going to use Tea Sets as an example of how early play can be used to boost rhyme development. ​Rhyme is essential for speech clarity and a foundation skill that needs to be learnt in the preschool years ready for formal school entry. Rhyme is one of the phonological awareness skill shown to impact on how easy learning to read and spell is for children entering the school system. Children need to be able to hear the difference between similar sounding words e.g., “tea” vs “key”. We call these minimal pairs. That is, the words sound the same except for just one sound. If words sound the same at the ends of words we say they rhyme (“plate” vs “Kate”). If they cannot really focus or “hear” the difference between words like “tea” and “key” they will not be able to easily say them clearly. When children are saying the wrong sounds in words it can reduce how easy it is to understand them (reduced speech clarity). Many 18 month olds will say “tea” when they mean “key” as the “k” sound often is not said well in words until about 3 years of age. The first thing to Observe then is to see if the incorrect sounds a child is saying is “OK for their age” or not. Children at four for example may still be saying “fumb” for “thumb” and this is also OK. Take a look at our SpeechNet Speech Sound Checklist. However, if you have concerns always consult a speech pathologist. We are here to help. There is a reason all those kid’s nursery rhymes, songs and early children’s books rhyme (Humpty Dumpty, Where’s the Green Sheep.). It is not because we want them to be poets later on (although we might!). It is because rhyme allows children to understand word “families”. f we hear and see similarities in words we do not have to learn to spell and read every single early word from scratch. If we can read “Man” we can see and hear the patterns in “pan, tan, can, fan etc.” making them really easy to read and spell! ​Does your 3+ year old notice rhyme? Would they say “those words sound the same”? If you start off a rhyme string can they think of more words (fall, ball, t…., c…). Can they tell you “key” and “tea” rhyme but “tea” and “plate” do not? All of these skills should be in place before they go to Prep. All of these skills are often in place before they even know their letters! They are foundation skills preparing the way for children to learn their letters develop reading sills. Again, if you have concerns your child that is heading into Prep or in Grade 1 cannot achieve these rhyming foundation skills then contact a speech pathologists . A child Speech pathologist can conduct a Phonological Awareness Screen. SpeechNet Speech Pathology provides Pre-prep screens for children going into Prep in our clinic and via Skype. It is important to ask someone politely to repeat themselves if you did not hear what they said or did not understand what they said. In play you can ensure similar sounding toys are put out at the same time (e.g. tea and key). You can model asking for clarification by pretending you thought they said one word instead of the other. For example, if the child says “I want the key” you can pass them the “tea” cup. You can them model an apology for not hearing and model of how to ask nicely to repeat themselves. As noted above if a child cannot hear the difference between similar sounding words (Kate/gate/plate) they will not “understand” the conversation or instructions given to them. Remember for some children they can “hear” perfectly well but it is the AUDITORY DISCRIMINATION skill that is difficult for them. They literally hear the words (“tea’ and “key”) as interchangeable. Emphasising the first sounds in these words helps them “tune into” the individual sounds in a word so that discrimination is possible. ​The same thing applies to rhyme. If children cannot hear rhyme or are not even aware that rhyme is occurring, they will not understand the underlying concept. By saying the rhyme word really loud at the end of each line is important to make it stand out for the child. Point it out as well. “OH, fall and wall” sound the same! I often set up play with toys and scenarios to indirectly model and encourage particular speech sounds and rhyme play. For example, I might set up tea set play but put out certain other specific toys to target certain ideas. I might suggest we invite teddy and a doll to the tea part. We can then call teddy “Mate” and the doll (Kate). Then we can share out the plates: “a plate for Kate and a plate for our Mate’. We might pretend they have to call from the gate (pulling from a farm set to add to the props). They can then call out saying ‘Hi it’s Kate at the gate”. You could perhaps pretent the tea cups are locked in a cupboard and we need a toy key to open the cupboard: “need the key to get the tea”; “pass me the key” and “give the tea to me”. By playing with rhyming and minimal pair words the children are exposed to lots of models to listen to. Give lots of social praise if they then try to copy saying the target words or think of other words that rhyme. 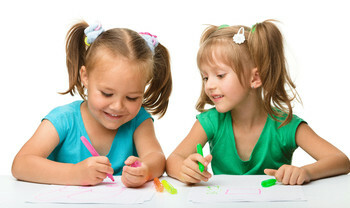 ​How can you actually boost and develop a child’s oral development while playing? But! Not any questions. The type or “Level” of question you use with a child needs to grow as their language grows. Blank Level of questions provides 4 levels of questions with each level getting harder and harder for children to answer. With over 70 VIDEO demonstrations of tutorials, examples, explanations, demonstrations of games and activities taken from actual speech therapy sessions. All delivered through a play based FOCUS BUT! 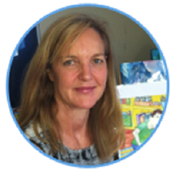 Let Dr Sandra McMahon, speech pathologist, PhD teach you how to take advantage of every precious moment including daily routines like bedtime, mealtime, traveling etc. Play with a FOCUS of building a strong speech and language foundation that will see your child develop and boost their speech and language skills NOW and help towards latter school success! 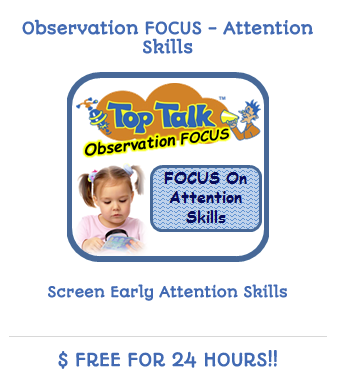 See our Online Program – FOCUS On Toddler Talk! And start boosting your child’s speech and Language TODAY! 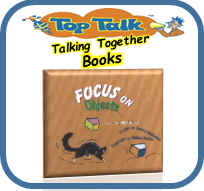 If you are wanting children to talk then a toy that is ALL about TALKING has to be a winner. Kids love the mystery and feeling like they have a secret way to talk. This is a great indoor and outdoor toy. Play hide and seek around the house or at the park. They can copy their super heros, pretend to be police, fireman or the mysterious voice heard in shopping centres! They often have interesting buttons too! Nowdays they come in all different versions – old fashion walkie talkies, pretend watch walkie talkies or toy mobile phones. My turn to speak / your turn to speak or listen. This is the foundation of conversations. This is how Walkie Talkies work! Many late talkers do not respond when asked a question. They may show you things with pointing or their bodies but do not always start a "conversation". If you are in another room and ask “bring me a book” – there are no clues. This can be a fun game. One adult is in a room and says can you bring me a “pencil” and the child can excitedly run it to them then back to see what they will ask for next. Have another adult with younger children or those that may need help to “listen” to the request. This adult can encourage them to listen to the request and follow through with the instruction. Start with really easy requests– just call their name through the walkie talkie and encourage them to make some kind of vocal response (an exclamation! Oh! a laugh, a Hi). Reward them by getting excited ("wow I can hear you! You laughed!!!). The requests or instructions can also get more and more complex (e.g. “Can you bring me something you cuddle at night”, Find a ball and superman”). For Children not really saying words, imitation is an important real key skill to develop. Some children might imitate physical actions but just not spoken words. 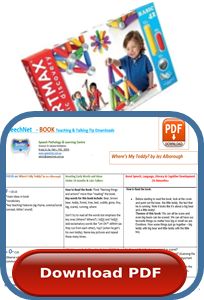 Our FREE IMITATION SKILLS ONLINE SCREEN can indicate what imitation skills your child is using. This can inform you how to adapt your walkie talkie game to get the most out of the toy. *Imitating animal noises – you could incorporate this into the finding gain describe above – you could have a box of toy animals and say “get the Mooooo” –What are you looking for ..is it a baa or a mooo? Walkie Talkies are great for early narrative or story telling too. You can encourage them to give a blow by blow description of what they can see or are doing e.g., Tell me what you can see in the park/ in your room/ etc.). Tell us in the Comments your ideas for Walkie Talkies. You love playing with toys with your child but sometimes you wonder if you have time (and energy) to really play! You may feel under pressure to get all those house hold chores done, get that shopping done, cook dinner, pick up the other children, “teach those sight words” – plus everything else that needs to be done! Making time to play is really important for SO many reasons and here are some ideas to make it not only fun but the ideas will also help you really see the benefits of the time you can get to play! No matter what your age (children through to adults)– you learn and retain more information if you enjoy the learning experience. At SpeechNet Speech Pathology & Learning Centre we are strong believers that children need to and can learn through play and interaction with others – rather than only trying to find specific “learning times” or just using electronic Apps and programmes to “teach”. 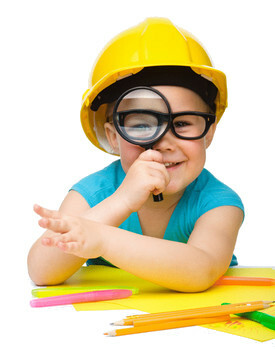 As a BONUS in the Top Toy DOWNLOADS Dr McMahon will also provide a range of Blank Level of Questions – these are specific questions you can ask with each toy for children presenting at different ages and stages – From Level 1 questions that children in the 18 month – 2 year age range can typically “answer”; though to questions you can ask 6+ year old children. 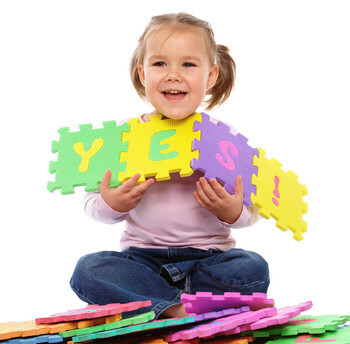 Asking questions at a child’s level is SUCH a good way to encourage all communication skills! PLUS ideas to encourage IQ skills are provided in the Top Toy DOWNLOADs. Ways to adapt the toy play so to boost memory, numbers, concepts & problem solving skills are also provided– all these ideas are embedded in play to maximise enjoyment & learning skills that can be used in all developmental areas for year to come. IN ADDITION there are ideas on how you can teach reading & spelling skills while playing with a toy!!! Dr McMahon will provide in the TOP TOY DOWNLOADS specific games you can incorporate to encourage phonological awareness skills while playing. Phonological awareness skills have been shown to be THE skills needed for ease of reading and spelling development. Phonological awareness skills emerge during the pre-school years and are used throughout schooling as children learn to read and spell unfamiliar words. 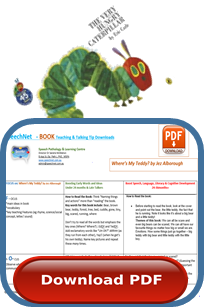 You don’t have to just do flash cards to t help your child to meet their literacy potential. 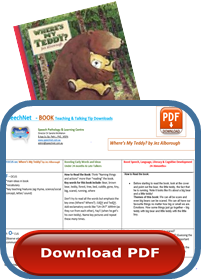 See our SpeechNet Store for these TOP TOY PDF DOWNLOADS and look at our SpeechNet Blog for recommendations of specific toys and books that have Dr McMahon’s has developed. The Downloads you be printed or saved. Links to toys and books are provided for purchasing if you don’t already have the items for your convenience. SO Let’s FOCUS on the Phlat Ball! It is great for all ages – The excitement of it popping is loved by late talkers to adults! The toy can just be a fun reinforcement (e.g., Place sight word cards on top – read the ones you can catch). 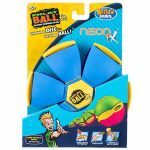 What is a Phlat ball? Is it a disc or is it ball? Throw a disc but catch a ball! 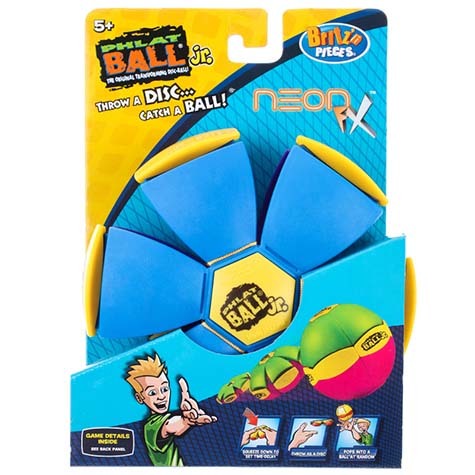 The Phlat Ball transforms from a flat disc to a ball that can be placed on the ground to wait for it to pop; or play catch back and forth with the disc and no-one will know whose turn it will turn into a ball!! The random time delay adds to the fun and excitement of the game play. Key Ideas for Late Talkers: Early first words can easily be encouraged with this toy that adds the element of surprise. See the TOP TOY DOWNLOAD provides specific vocabulary that Dr McMahon uses with this toy for in her Speech Therapy sessions. Early speech sounds like /p/ can be encouraged and imitated with words like “pop” or “up”. Young children often find it difficult to wait and attend long enough to listen and take in new words. As the children tend to be keen to stay and watch for the ball to “pop” you can repeat “pop..pop…POP” while you are waiting – Your speech model is then closely linked to what they are seeing and waiting for, so they are more likely to remember and even try to say the word as your words are matching their “FOCUS”. 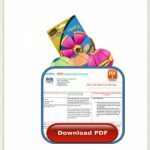 The Phlat Ball DOWNLOAD has specific sections for children under 30 months or late talkers. 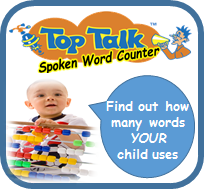 Key Ideas for Early Talkers and Older Children: You can count to see how long the ball takes to pop each time. For the older children you can write the numbers down and compare each trail – Does it pop at around the same count number or does it change a lot? You can try to see how many words you can say that rhyme with “pop” or “go” before the ball pops (e.g., hop, top, mop, stop). See the Phlat Ball DOWNLOAD for heaps more ideas to boost memory, concepts and other literacy skills. 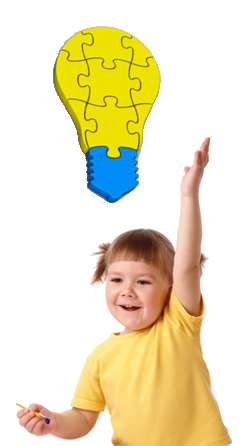 There are Blank Level of Questions for the different age groups which are based on key developmental learning stages.